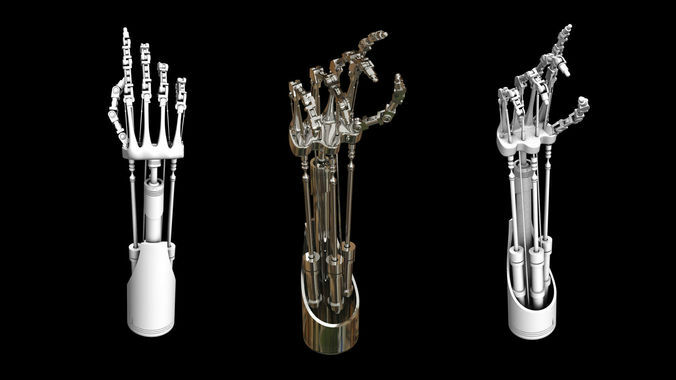 This is a 3d mechanical hand model. It is rigged and ready for animation along with textures. All the parts resemble a humanoid hand.